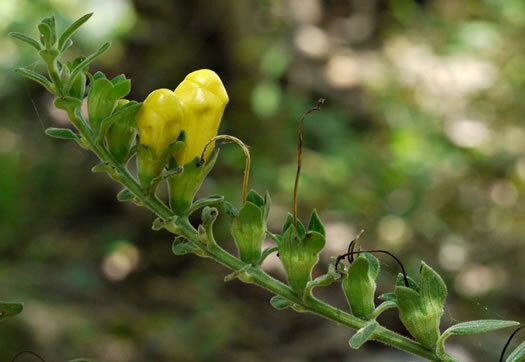 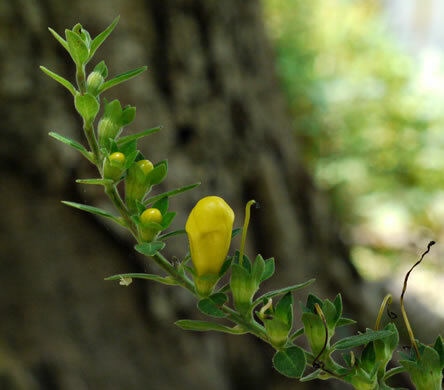 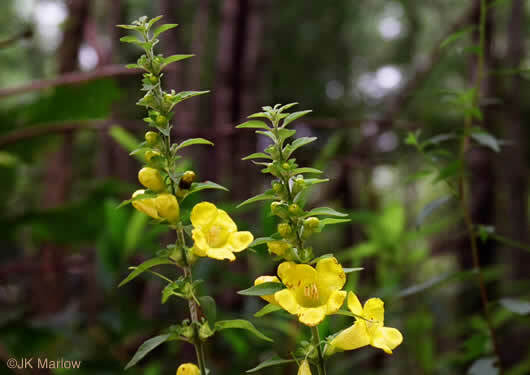 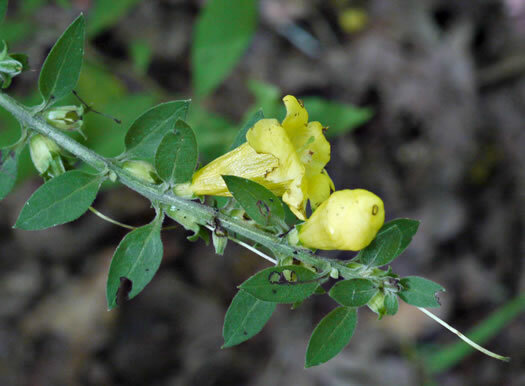 Read about Downy False Foxglove from Lytton Musselman and the Southern Appalachian Botanical Society. 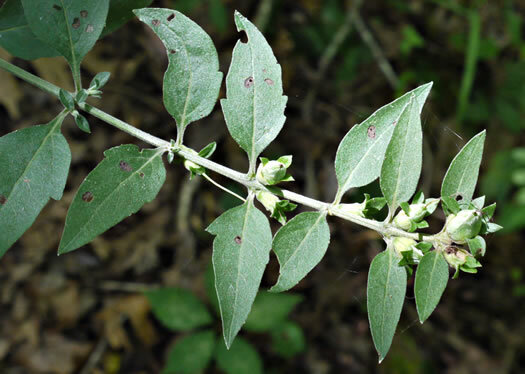 Flowering May-July (vs. Aug-Sept for A. patula, laevigata, flava), per Weakley's Flora. 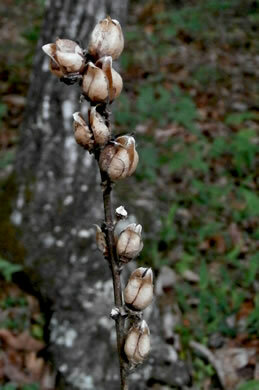 Finely downy throughout, per Wildflowers of Tennessee. 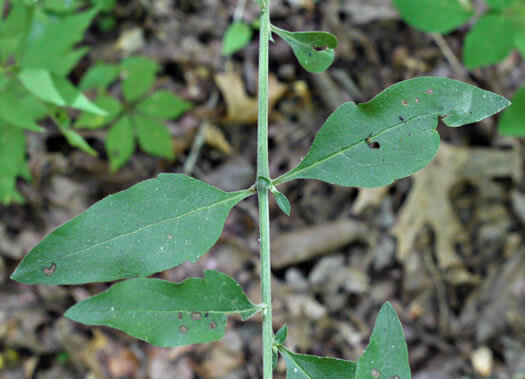 Lower leaves lance-ovate, sometimes with lobes or teeth, per Wildflowers of Tennessee. 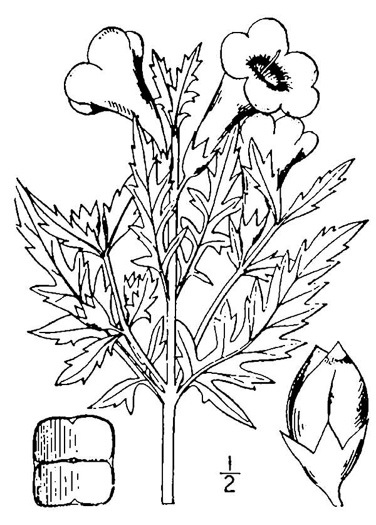 Inflorescence, pedicels, and/or calyx pubescent with nonglandular hairs, per Weakley's Flora. 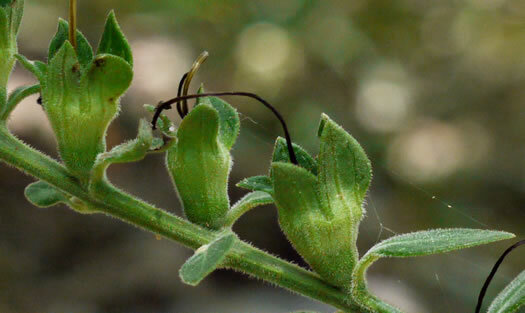 Pedicels usually less than 3mm long at anthesis, per Vascular Flora of the Carolinas. 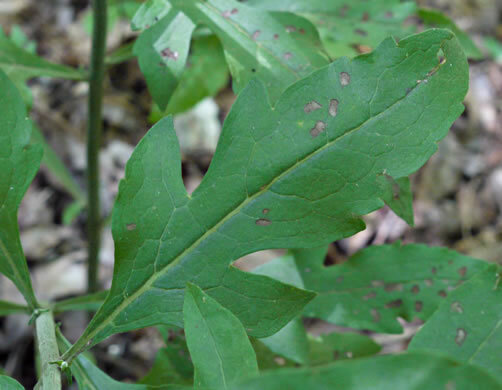 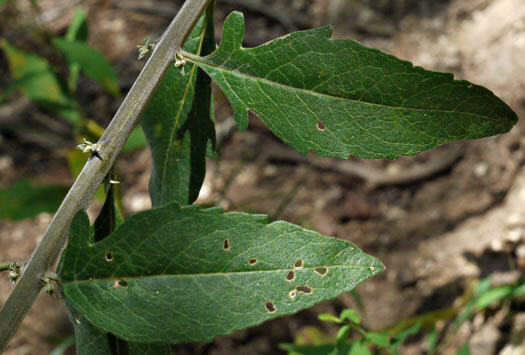 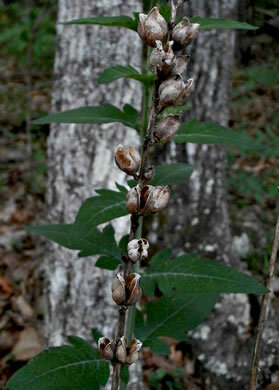 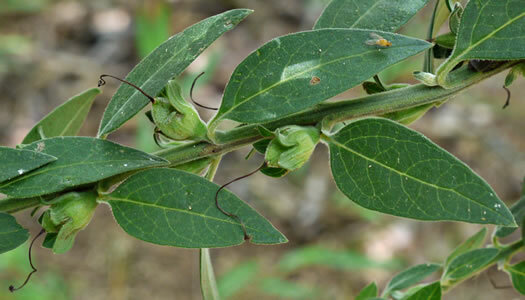 Calyx lobes lanceolate, 3-10mm long, equaling or much longer than tube, entire, per Vascular Flora of the Carolinas. 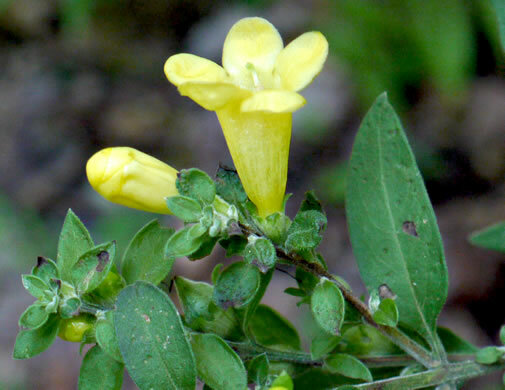 Flowers have a tubular corolla with flaring lobes, per Wildflowers of the Sandhills Region. 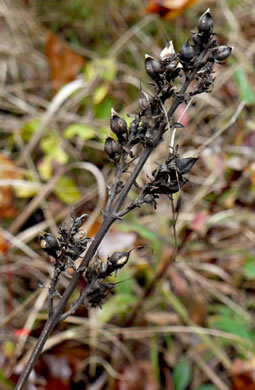 Plants turn blackish-brown in autumn, per Wildflowers of the Sandhills Region. 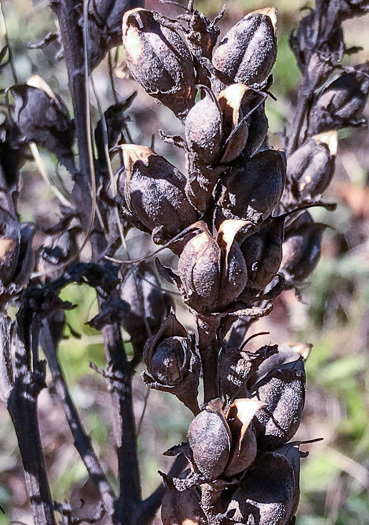 Capsule broadly ovoid, pubescent; pedicels often to 6mm long, per Vascular Flora of the Carolinas.